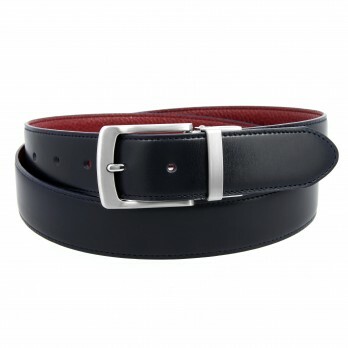 Escape symbol, the navy blue is a timeless colour that goes well with your different outfits. 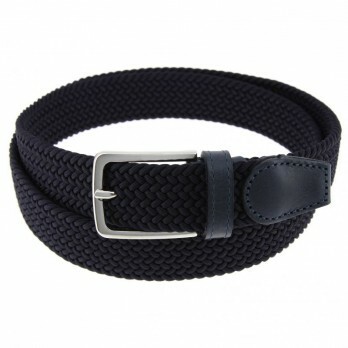 Navy blue is a colour that is associated with travel, more specifically the sea and outer space. 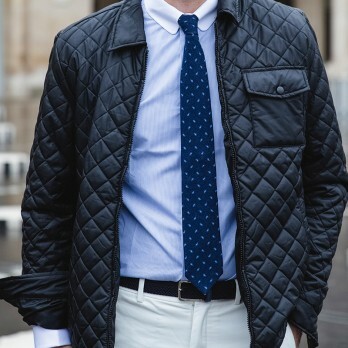 It's a shade symbolising confidence and intelligence that is used often, simply because blue is the world's most beloved colour. 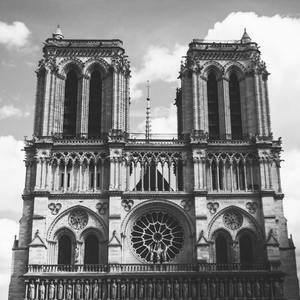 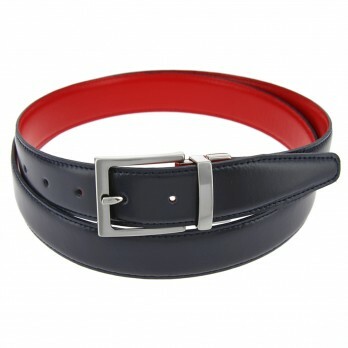 In France, navy blue is a colour associated with the navy, which has been the uniform colour for more than two centuries. 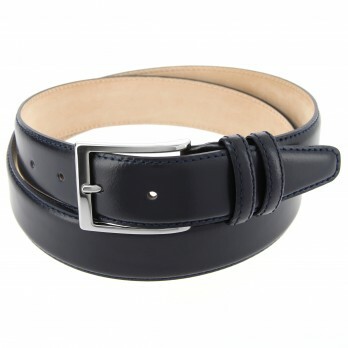 Especially present in a man's wardrobe, navy pairs well with many colours and is less classic and brighter than black. 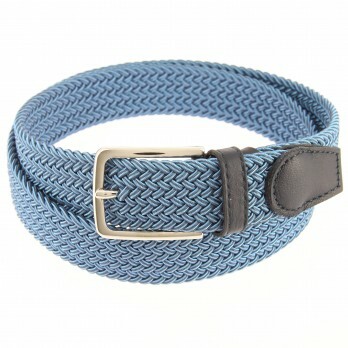 This colour goes especially well with a light gray suit. 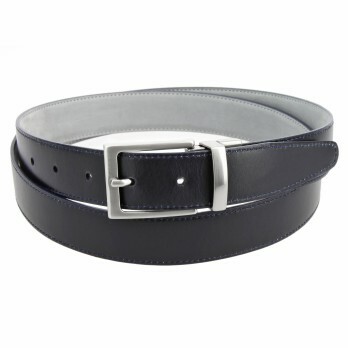 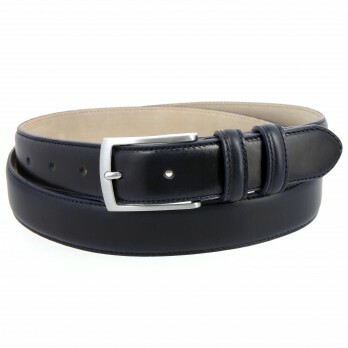 A navy blue belt can round out an outfit; it's a symbol of elegance. 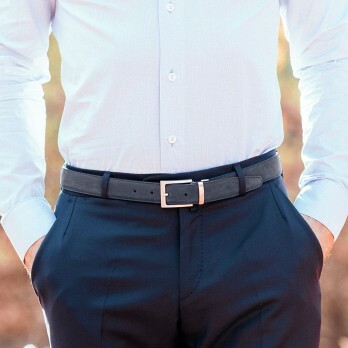 With a formal outfit, the navy blue suit belt is not meant to simply hold the trousers; it adds a finishing touch to your look. 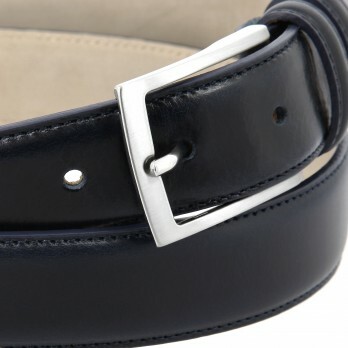 It is also good to match your shoes to your belt and, for the pinnacle of sophistication, your watch strap. 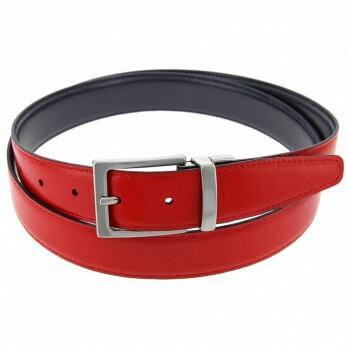 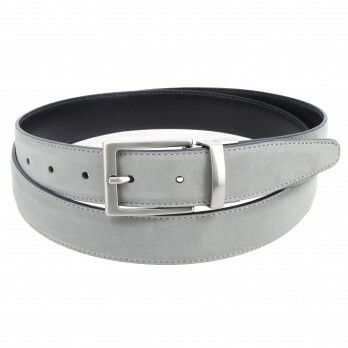 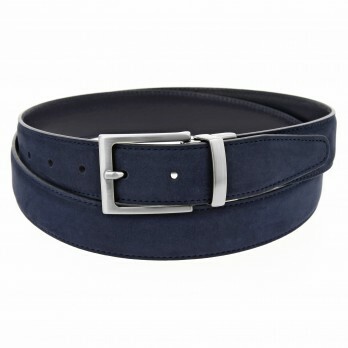 A suede belt or elastic belt is more casual and is suited to trousers such as chinos or jeans. 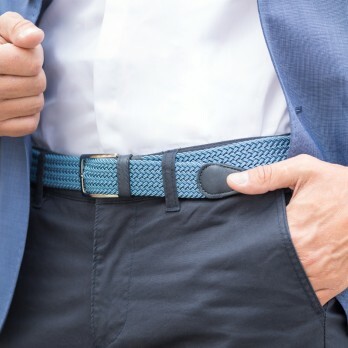 Depending on what you want to achieve, be aware that the greater the colour contrast between your belt and trousers, the more casual your look will be.